Obituary for David Richard Page | Lumberton Family Funeral Home, LLC. David Richard Page, age 81, entered his heavenly rest on April 5, 2019. He was born on July 9, 1937 to Harvey Page and Nora Irene. Gifted with servanthood, David was an amazing man with incredible accomplishments; a Masonic Grand Master, deacon, vocational teacher, and expert gardener. He loved the outdoors, whether he was fishing, working with carpentry, squirrel hunting or tending to his garden, he truly enjoyed nature. He was a loving husband, father, and grandfather; his grandchildren saw him as the “best paw paw ever”. His family finds peace in knowing that he received his ultimate reward as he was welcomed into the arms of his heavenly Father. 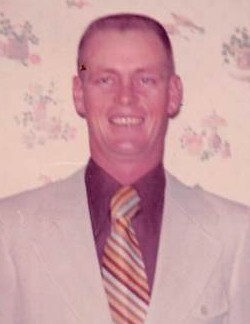 Left to honor his memory is his loving wife Beverly Page; daughters, Sharon Hebert and husband, Kenneth, Phyllis Still; brother, John Page and wife, Jeannie; sisters, Harvilynn McNeil and husband, Brad, Edna Davis and husband, Lucious, Geraldine Brooks; grandchildren, Erin Still, Keith Still, Alana Tipton and husband, Christopher; great-grandchildren, Beaux Still, Ava Still, Madilynn Tipton.